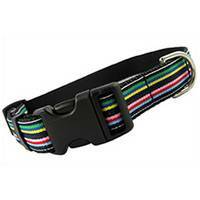 SafeTPet has a great selection of designer collars, for your dog or cat! Any cat would love to wear one of the exclusive designer kitty collars! And any dog would love to sport these yuppie canine collars! 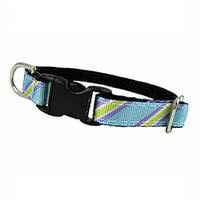 One of their best-selling items are their personalized collars for both cats and dogs! They are sturdy, high quality, and are responsible for many a happy reunion between owner and pet. I'm glad that I've got one for my pet. You can get one for your pet too! 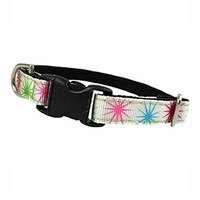 Personalized dog collars are $14.99 and personalized kitty collars are $11.49. 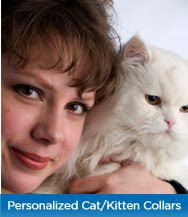 Of course SafeTPets has much more than just collars. For instance, I love the idea of a food scoop that doubles as a food bag clip! 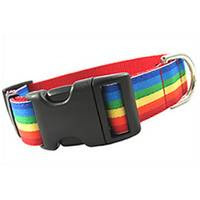 SafeTPet would like to give away one of their personalized cat or dog collars! Here is what you can do to get one! Complete the mandy first: Visit SafeTPet and tell me something they have besides their dog and cat collars. +2 Follow me on Twitter! Leave your Tweet handle! +1 Do you have a dog or a cat? What do you love about your pet? +2 Read my review about SafeTPet and leave a comment. Let me know you did! +3 Friend me on Facebook and leave me a comment over there! I love those comments! +3 Grab my button and post it on your blog! +2 Follow me on Google Friend (publicly please)! +2 Follow my RSS Feed with any reader you choose! This giveaway will close on 8/10/10 at 11:59 pm MST! Thanks for participating and thanks to SafeTPet for the chance to review and host this giveaway! The opinions in this blog are mine and are honest and candid. I was provided a product to sample and review! Winners are chosen with Random.org! The winner will be announced at the end of the giveaway here on this post! Check back to see who won! I like the Little Buddy Lunchbox they have because my dog is a larger dog and this way she would not have to go so far down to eat! I don't think I would want to eat off the floor as a dog or a person! I have one dog and yes I love her! 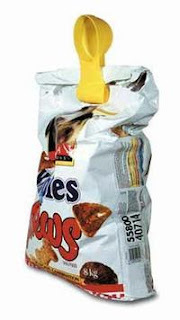 They also have the scoop clip. I like the Cozy Kingdom for cats. Looks like my grand-cats would love it! I have a dog - Golden Retriever. My daughter has two cats that I baby sit all the time. These animals are such wonderful companions! #1 I like that there is material hanging down. I also liked that the number is sewn into the collar - then you don't need an ID tag. #2 I like that there is material hanging down. I also liked that the number is sewn into the collar - then you don't need an ID tag. The Scoop Clip is a fantastic idea! They also have pet tags! Thank you for the giveaway - I'd love to win one of these for my cats. I now follow you on twitter, @my_twitraccount, entry #1! I now follow you on twitter, @my_twitraccount, entry #2! I read your SafeTPet review and commented. entry #1! I read your SafeTPet review and commented. entry #2! I now follow publicly via Google Friend Connect, entry #1! I now follow publicly via Google Friend Connect, entry #2! I now subscribe via RSS on my iGoogle homepage. entry #1! I now subscribe via RSS on my iGoogle homepage. entry #2! They have cartoon dog tags. I have a dog. I love that she is so goofy. they have Looney Tunes pet tags! I love Marvin the Martin! I have a dog! I love that he's a wild and lovable dog! A door teaser! My cat would love that! I follow you on Twitter from SippyCupMom. Follow you on Twitter #2! I have a cat and a dog! I love that my cat likes to cuddle and my dog is so good with my son. I also liked that the number is sewn into the collar - then you don't need an ID tag. They have Pet-Id Tags also - Very cute site!! !